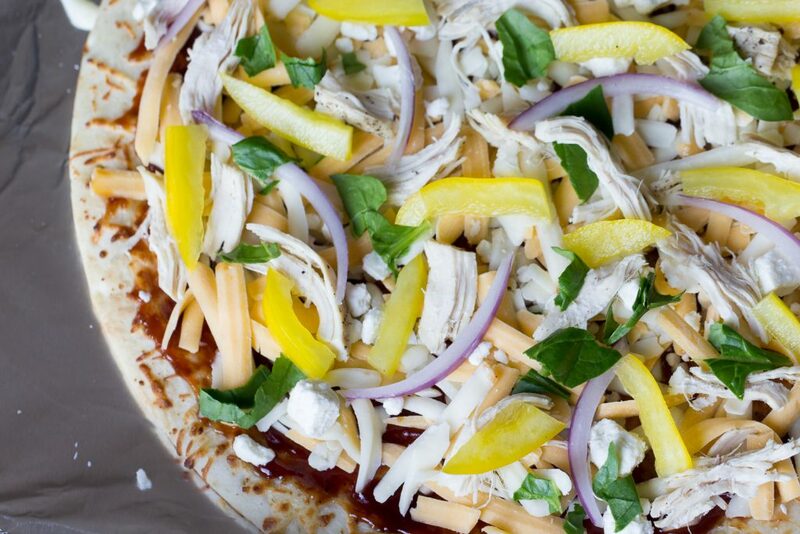 Barbecue Chicken Fajita Pizza is perfect for pizza night! Use a premade crust and shredded rotisserie chicken for a delicious meal you can throw together in just a few minutes! Every Friday night growing up our mom would make or order pizza. It was always my favorite day of the week! We usually try and do the same thing in my family but we’ve been in a pizza rut for a few weeks. 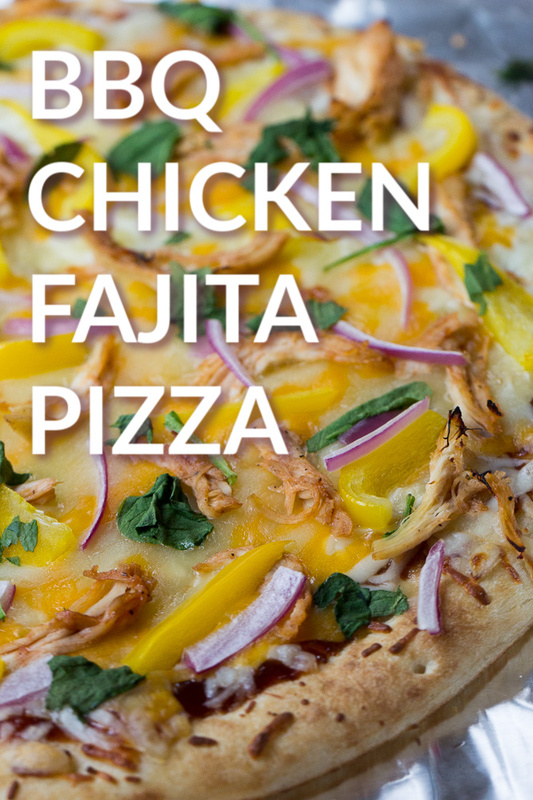 This BBQ Chicken Fajita Pizza is a great way to try something new and healthy without giving up your favorite pizza nights. This pizza is also a favorite of ours because it really just takes a few minutes to assemble. No homemade pizza dough or raw chicken to deal with. 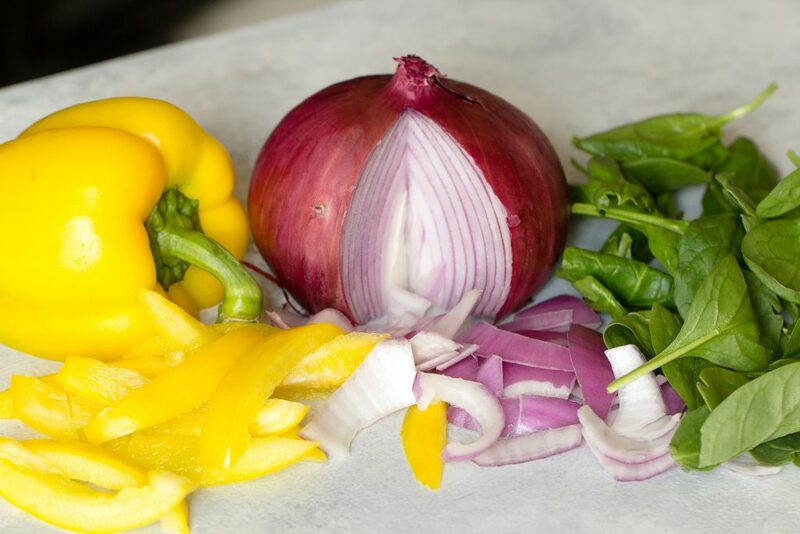 Feel free to add any of our favorite fajita toppings or vegetables; that’s the beauty of homemade pizza, you know exactly what’s going on it! Place the pre-cooked pizza crust on the foil covered pan. Spread the barbecue sauce evenly over the crust. Sprinkle the cheeses over the sauce. You can add as much or as little as you prefer, we’re pretty big cheese fans over here! Assemble the pizza with the chicken, onion, pepper, and spinach. Sprinkle the garlic salt over the finished pizza. Place in oven and broil for 10 minutes or until crust is golden. 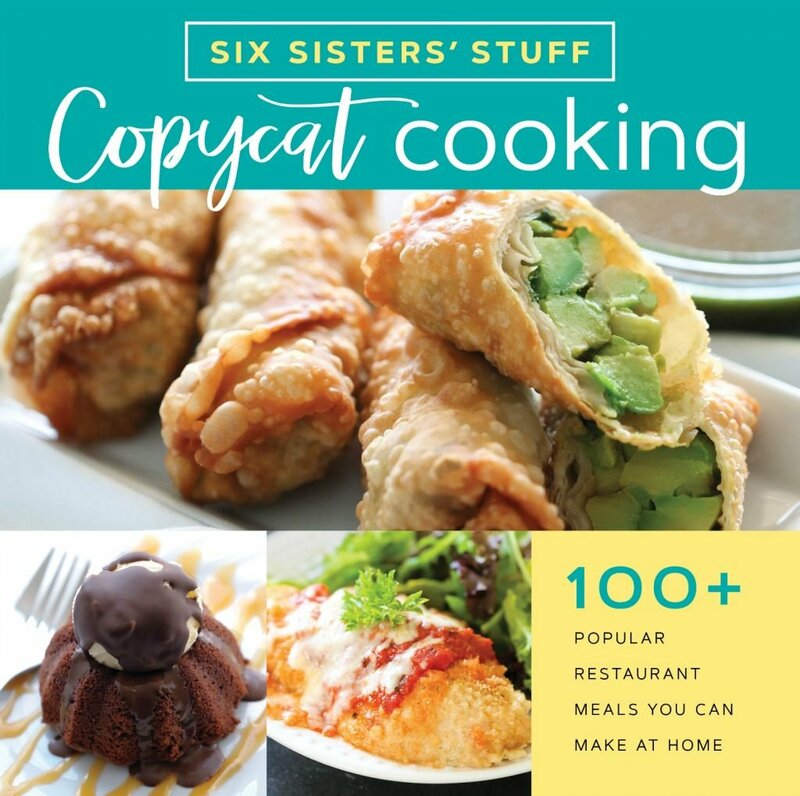 In a pinch to throw this together? Save yourself tons of time by using a rotisserie chicken instead of cooking or grilling your own! If your local deli does not sell pulled rotisserie chicken, you can also buy a whole chicken and freeze what you don’t use for another time. 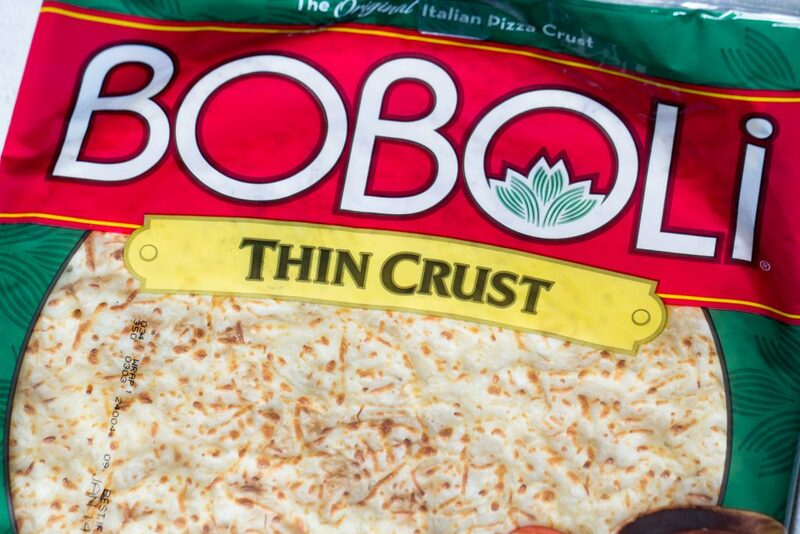 Here’s everything you’ll need to make this pizza at home! Cutting Board – We love this cutting board because you can stick it in the dishwasher right when you’re done using it! Cookie Sheet – this multipurpose cookie sheet is perfect for this recipe. We prefer to cover ours in foil for easy clean up. Pizza Cutter – the most essential part of making pizza at home is slicing it. This pizza cutter is easy to use and dishwasher safe! Turn broiler onto high heat. Sprinkle the cheeses over the sauce. Sprinkle the garlic salt over the pizza. Place in oven and broil for 5-7 minutes or until crust is golden. We recommend checking it at 5 minutes to avoid burning. In this video we’re making Pizza Toast, another great option for pizza night!